Wine is nothing more than fermented grape juice, which isn't very hard to make. Making good wine is quite a challenge, though, but to make wine high in alcohol content that tastes palatable is more challenging still. The two limiting factors to wine's alcohol content are the sugar content of the juice and the alcohol resistance of the yeast carrying out the fermentation. Too much sugar or alcohol will inhibit or kill the yeast, but not enough sugar and the fermentation will end early. Maintaining the proper balance is a complex dance. A balanced table wine designed to pair well with food is typically at an alcohol content of 8 to 13 percent. 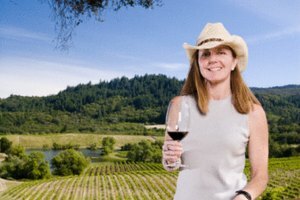 Going beyond 13 percent is typically considered a high alcohol content wine, though 17 to 20 percent is attainable with the right technique. Choose a high sugar grape, and use a lot of them. 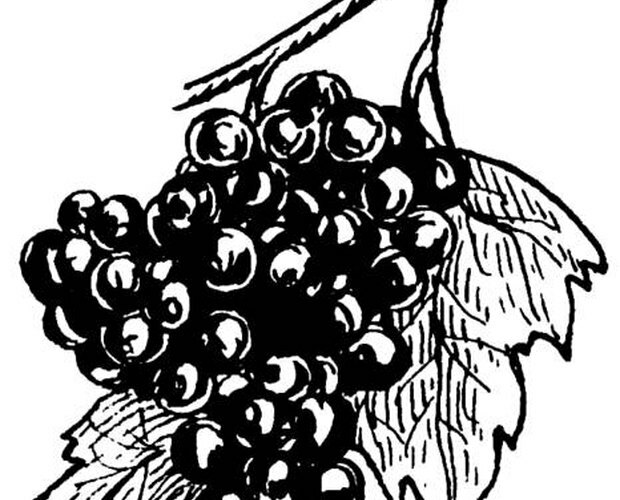 As any winemaker knows, not all grapes are created equal. 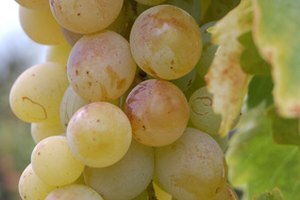 The longer a grape is left on the vine before harvest, the more natural sugars will have ripened, producing a sweeter fruit. When making high alcohol content wine, it is important to use more fruit than usual, say five to six pounds per gallon of wine produced versus three to four, because otherwise the high alcohol content will cut through the flavor of the wine and make it taste watery. Crush the grapes and measure sugar levels. After carefully removing all the stems, crush the grapes until all the juice has been freed. If making red wine, leave the juice on the skins, otherwise remove them. Measure the sugar content with a hydrometer. If the brix (sugar content) reading is above 30 degrees, fermentation will not occur properly. Measure the pH of your juice with the strips and dilute with water of equal acidity, using tartaric acid to lower the water's neutral pH. Add high alcohol yeast. In order for fermentation to occur, yeast must be added to the wine juice. Most yeast used in wine-making has a difficult time living in an environment beyond 17 percent alcohol. A particular strain of Saccaromyces Cerevisiae wine yeast with a stronger resistance to alcohol is the best choice for making wine above 18 percent. Track sugar and alcohol content. As the fermentation process proceeds use the hydrometer to track the sugar and potential alcohol content of your fermentation. As sugar is converted into alcohol, the potential alcohol reading on the hydrometer will approach zero. Just before this happens, add one or two pound of sugar per gallon to your juice and let fermentation continue. Repeat step four until the desired alcohol content is reached. By continually tracking the conversion of sugar into alcohol with the hydrometer and adding sugar, a winemaker can continue fermentation of the grape juice until the desired alcohol content is reached or the yeast reaches its alcohol tolerance limit and quits. Seal in airtight container. Wine cannot be fermented in a sealed container, because the gas produced can cause it to rupture. However, once fermentation has ceased, the wine must be strained out and stored in an airtight container to prevent spoilage. The alcohol content of the wine will be equal to the amount of movement in the potential alcohol reading of the hydrometer. For example, if it moved from 12 to 1, the alcohol content of the wine is 11 percent (with one percent residual sugar). If, by adding more sugar, the potential alcohol reading jumped back to 6 and was allowed to ferment back down to 0, the total alcohol content would be about 17 percent. 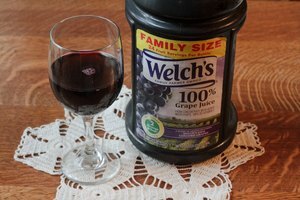 The cost of producing wine can be greatly decreased by using store bought grape juice or even concentrate instead of wine grapes. Of course, the quality of the end product will be decreased as well. Wines with higher alcohol content will be more difficult to take with meals, and might actually be unpleasant for some drinkers.